The right spotlight can make a huge difference when hunting in the dark of night. Here are our educated suggestions. 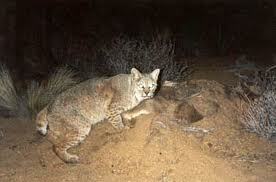 For many game animals around the world, the night time darkness is when much of their daily activities occur. For these animals, its best to hunt at night with a spotlight. Here is our list of the Best Spotlights for Hunting for 2017 with links to the best price we can find from reputable dealers. Be sure to go through the links on this page to ensure you get the best price possible and so we get credit for sending you. Before we begin, most spotlights fall into one of 3 categories. 1. Rechargeable (cordless) 2. Nonchargeable (corded) 3. Weapon Mounted. For ease of conversation, we will refer to corded as “Spotlights” and the rechargeable as “Cordless Spotlights” Both have their pros and cons. Which type best suits your methods of hunting will be determined on where the searching takes place, but most serious night hunters eventually end up with all three. If the hunt will be out of a pickup window, then corded is great. Due to the lack of a battery, nonchargeable spot lights are perfect for long nocturnal hunts as they are typically quite light weight. If the hunt is to leave the vehicle, then obviously a cordless rechargeable light is more in line with your needs. They are heavier though and the charge doesn’t last forever, so you want to get by with the corded light as long as possible before you pull out the cordless rechargeable light. 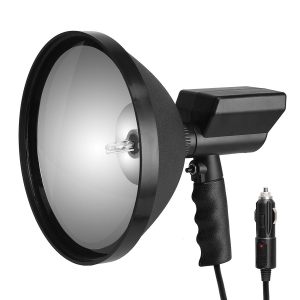 100W 12V 9″ Handheld HID Spotlight by Voilamart – At 8000 lumens and constructed of light weight, durable material, this is the ultimate spot light for when you will be in reach of a 12 volt power source (examples: vehicle, power pack). The HID (High Intensity Discharge) bulb creates a daylight effect and has a life of 3,000 – 5,000 hours; 100 times longer than halogen. Also, like any experienced spotlight hunter will tell you, an on/off switch is key. The alternative is a trigger style on/off switch, which can become very annoying after a long night of lighting up hillsides. 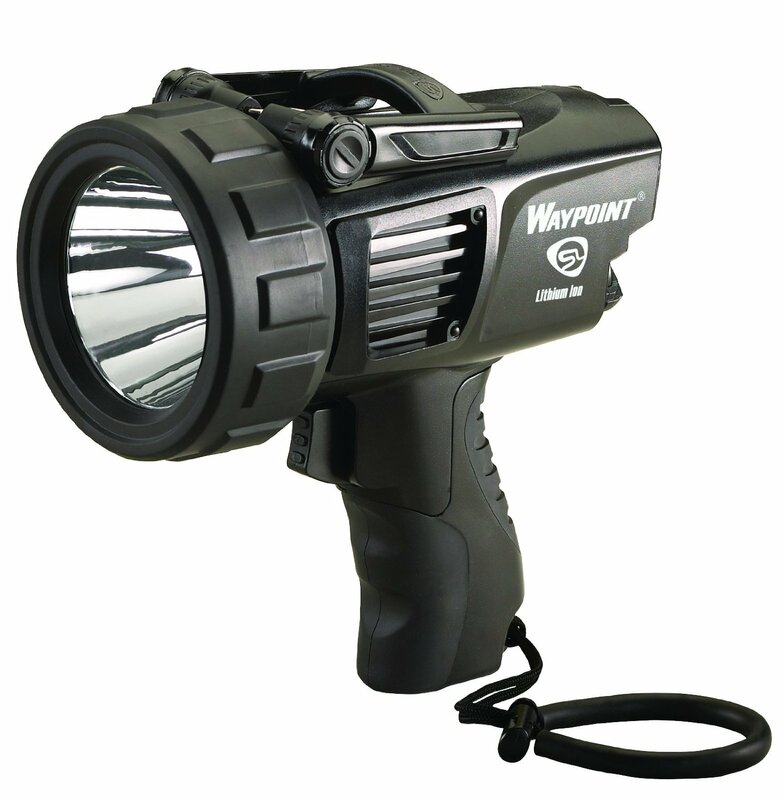 Streamlight 44911 Waypoint Spotlight – A rugged design, adjustable power settings and long battery life are just some of the things that make this a great spotlight for hunting. With a max light output of 1000 lumens this light will burn bright for 3 hours, 6 hours on half power and even a 35 lumen low setting lasting 80 hours. The bulb is made to last – Shock proof with a 50,000 hour burn time. The battery charge and bulb life is so great because the Streamlight Waypoint spotlight uses an LED bulb. The unit is nearly bullet proof, being shockproof and waterproof to 2 feet for up to 30 minutes. Plus, not to mention, the spotlight will float in water! At the link below, you may also choose to purchase a red filter as well so for the animals that can’t see red, such as coyotes and deer. They wont even know you’re there even though you’re shining a light right at them! 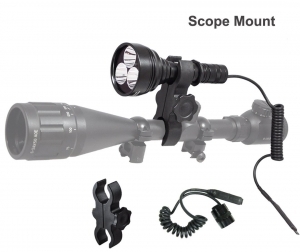 Orion Long Range LED Hunting Light Flashlight Kit – Scope Barrel Rail Rifle Mounts – An incredibly bright and light weight spotlight that attaches directly to almost any type of weapon. There are a 2 different models at the link below with different color filters for each. The model pictured on the right has 3 different power modes including a 700 lumen light output that will run for 1.8 hours and 3.5 hours at 400 lumens. 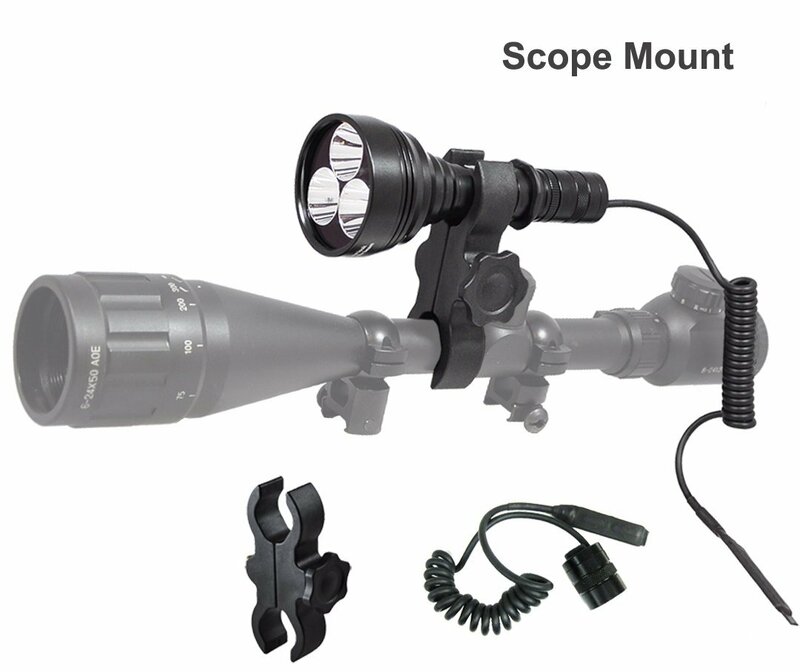 At 700 lumens, the beam distance is 377 yards. For anybody that has experience hunting with a spotlight, anything over 300 yards is a long poke and looks much further.